Kūlia cooks! 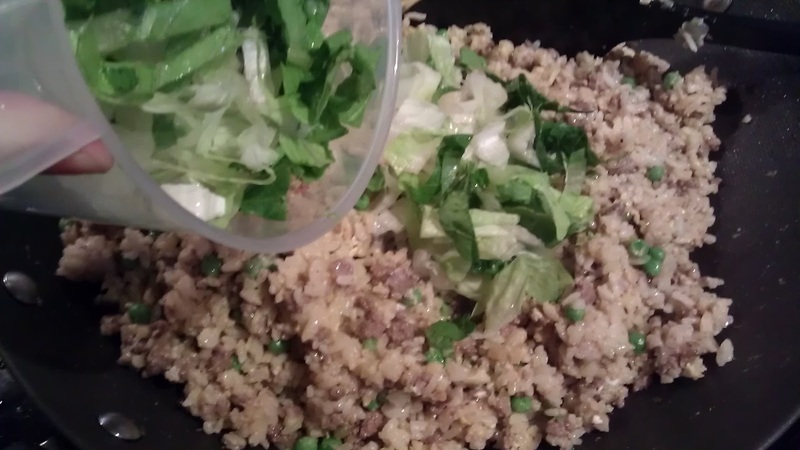 : Beef and Lettuce fried rice. I came from a household where the children were pretty spoiled. My grandfather made sure our amahs prepared dishes that "the kids" would eat. I wouldn't eat pork (I will tell you the story some other time.) Our amahs made me chicken or beef and lied that extremely lean Char Sui, (Chinese BBQ pork) came from a very special Char Sui (like a cow). 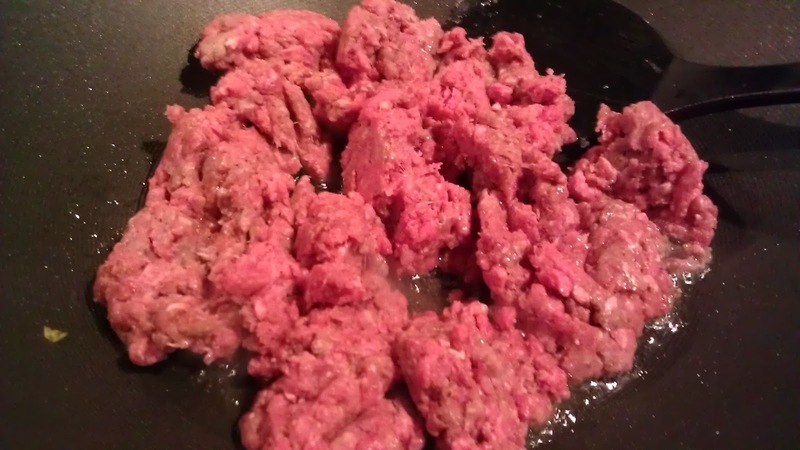 Since the meat was red and didn't resemble pork or even had any taste of pork, I would eat it. They also made sure there would not be any fat so that I would not suspect it was pork. Of course I had never seen how a Char Sui looked like. The household was not allowed to mention anything with pig or pork in front of me. Everything was "chicken", unless I could identify it, then came the "eating strike"! They could not make me eat it. To avoid the trouble, everyone went with the flow till I went off to college. I then learned to like "everything" and I learned to appreciate different variety and flavors. 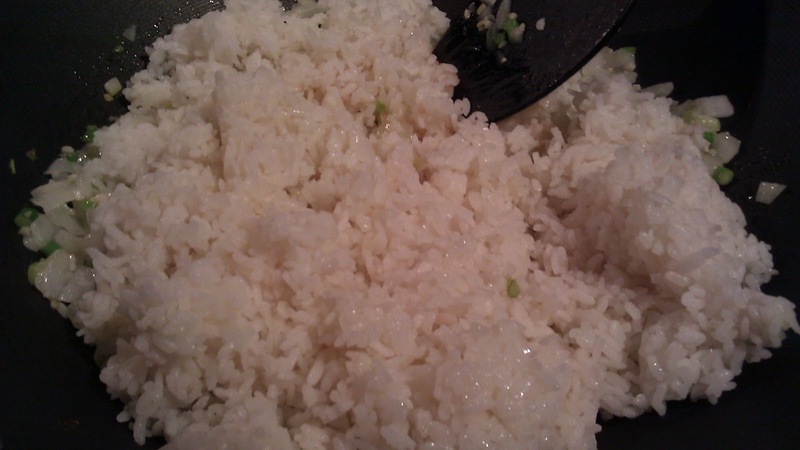 Rice as many know is a main staple in Asian diet. I actually didn't like rice when I was growing up. I preferred potatoes and I still do. 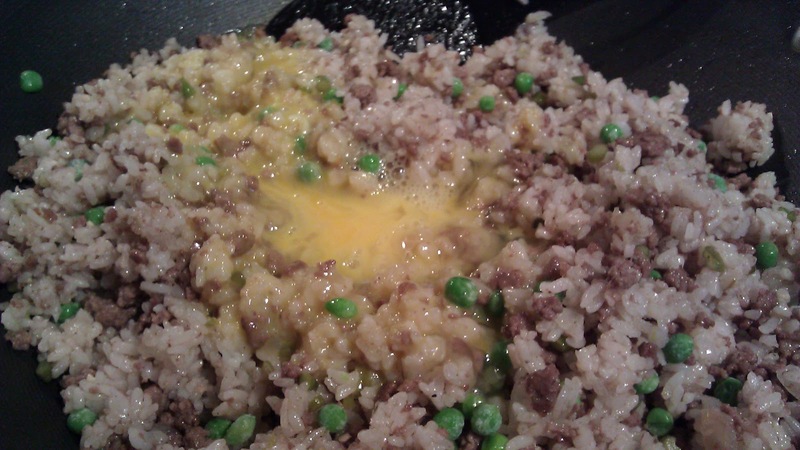 One way to get me to eat rice was fried rice, or rice with butter and shoyu. 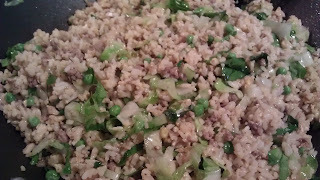 Beef and lettuce fried rice was one of my childhood favorite, there was no pork and it's a fried rice. 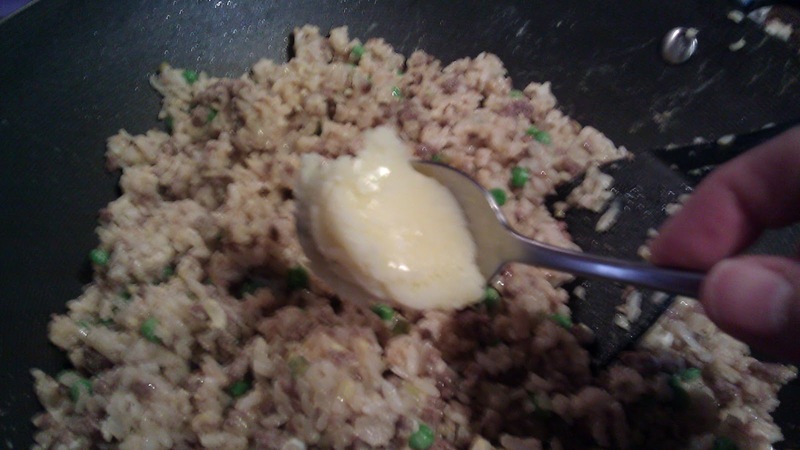 Ah King Jie, our amah used to put butter in it to make sure I would eat it! I still make it the same way and that last tablespoon of ghee or butter is in honor of Ah King Jie. She raised my father, then raised me from birth till my teen years. She passed away during my freshman year in Hawai'i. Back to our recipe, You can actually order this in any Chinese restaurant in Hong Kong, very popular at lunch! You will also notice that I am putting frozen peas in the rice. It's not a mistake, I don't want to overcook the pea. 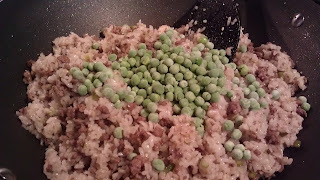 The frozen peas when cook in the rice, retained the moisture. It will "self cook" in the hot rice. 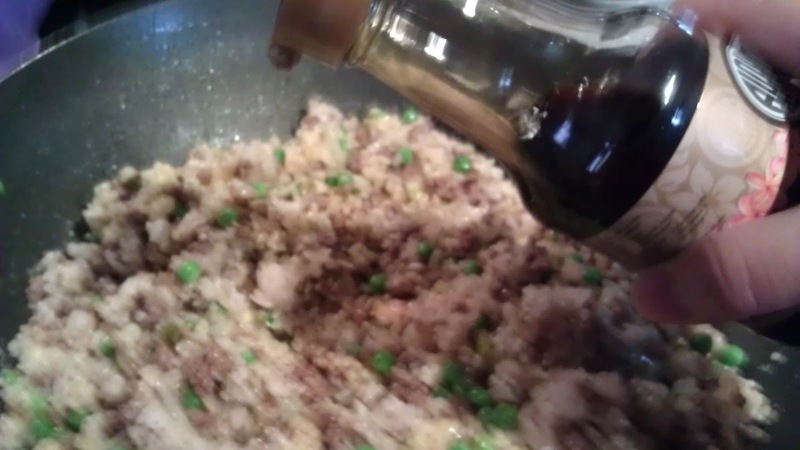 Classically peanut oil is the choice, however I prefer vegetable oil for cooking Chinese. Olive oil has a tendency to be too strong and it does not always work with Chinese cooking. 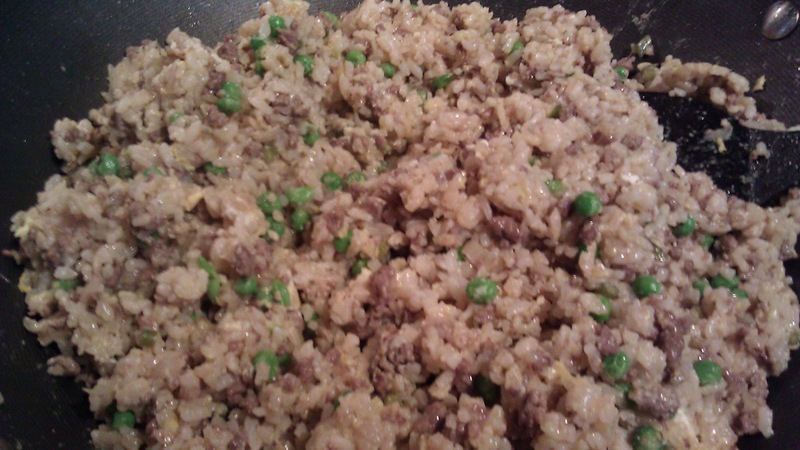 Here is another tip, the best fried rice is to use leftover or day-old rice. A dried texture makes it easy to stir fry. 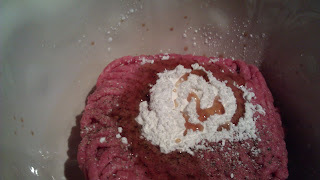 Plus it will absorb the flavor of the other ingredients better. 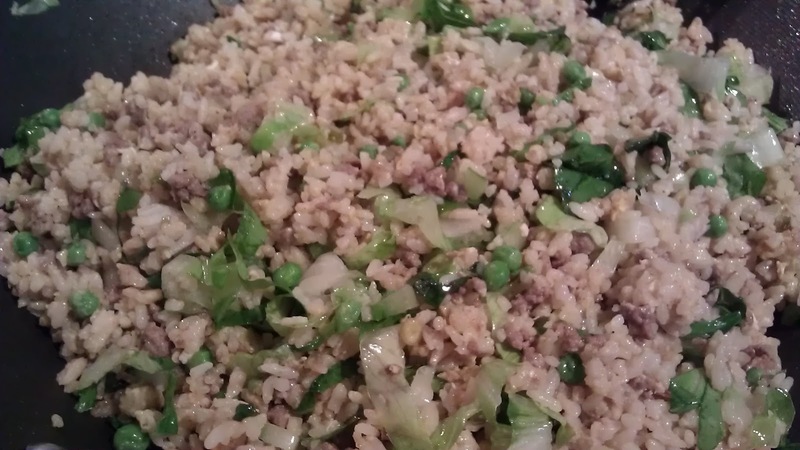 Fried rice is designed to be a "leftover" dish! Optional: 1 tbsp Chinese Shao Xing wine (available in Asian grocer, such as United Noodles here in Minneapolis. It's over by the Chinese seasoning section) or you can use sherry. 1 small onion, peeled, cleaned and diced, about 1/4" small pieces. 3 cups cold cooked short grain rice. Preferable day-old. You can make it overnight and leave it in the fridge. 3-4 green onion, washed and sliced. 1 small romaine lettuce, washed and shredded. Most important - make 4 cups of cooked short grain rice ahead and make sure it is cold. 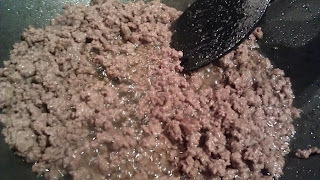 Add the meat and stir fried till the meat is cooked. Remove from the pan. Drain the meat if it is too greasy, but make sure you keep a couple tbsp for flavoring the rice. 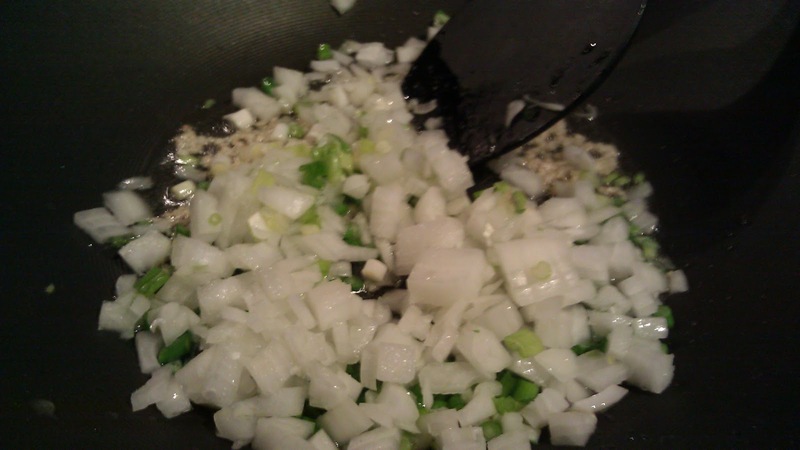 In the same pan, heat 1-2 tbsp oil and stir in onion and green onion and cook till the onion is translucent. Add the rice, stir fry for a few mins. I am using a non-stick pan. I do not need a lot of oil. However if you using a traditional wok, you will need to add more oil, or you can add the reserved fat from the meat. Fry the rice for a few min till it is hot. 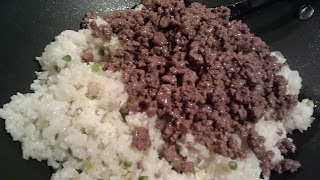 Return the beef and the reserved liquid (if you have not done so) right to the rice, mix well. Add frozen peas and mix well, cook for about 2-3 mins, till the peas are nice and bright. pour in the eggs and mixing. 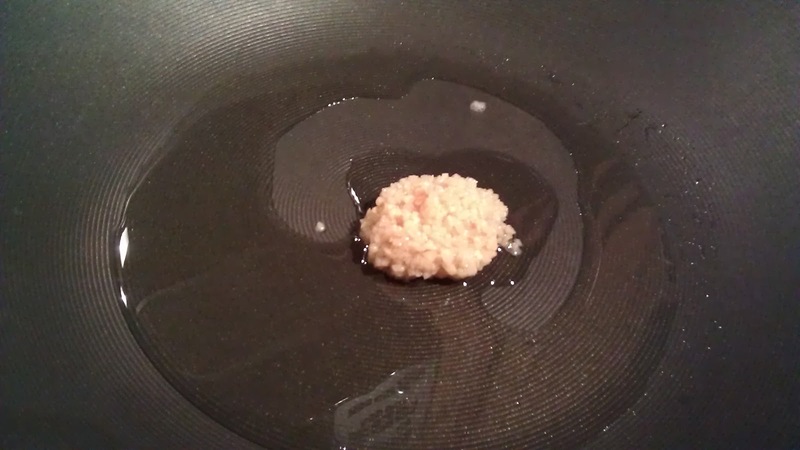 Check to make sure you rice is not sticking to your pan. Add the lettuce. Mix well. Ready to serve once the lettuce wilt light. It will continue to "cook" with the heat of the rice. Serve 2 as an entree. 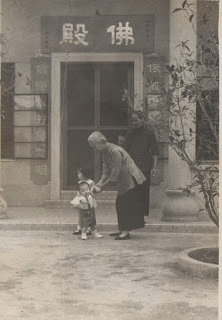 Ah King Jie tried to round up my brother and I (Hong Kong).